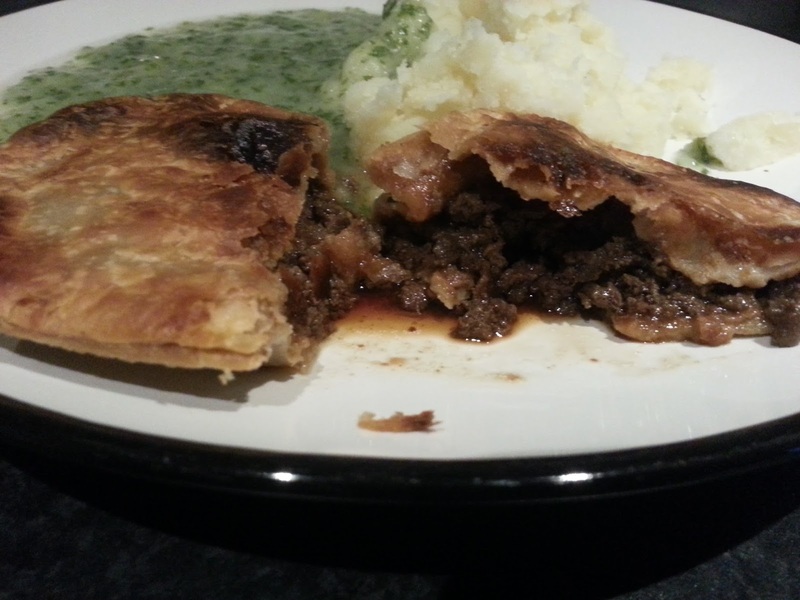 Pierate - Pie Reviews: A ready meal pie? I'm always ready for pie! Robins Pie & Mash is a family-owned business with several retail shops across East London and Essex. They've been going for 5 generations - so you'd certainly expect they'd know a thing or two about pie and mash! Indeed, their website gives us a nice bit of history about the famous food, with pie and mash dating back to the 19th century. Now, not content with selling their pie from their popular stores, Robins Pie & Mash has been branching out into new areas of the retail market. 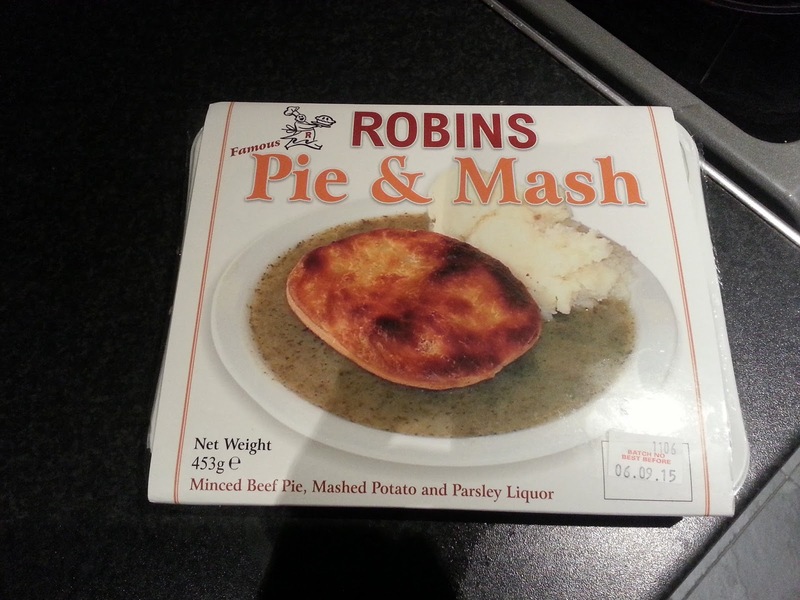 This is a Robins Pie & Mash ready meal, which has recently been made available in the frozen section of ASDA in London and Essex (although according to MySupermarket, it's no longer available? - will have to verify this!). Their pies are reportedly handmade and filled with 100% Scottish Beef. 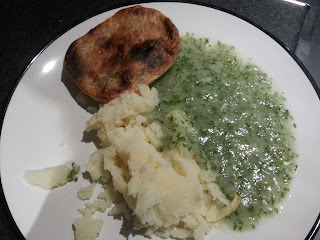 Once cooked and on the plate, you can see this is a pretty standard pie and mash affair. You've got your minced beef pie, mashed potato and parsley liquor. In my opinion, the pie is a bit too dark in colour with an uneven bake. On the all important cross-section, you can see the pie is sort of half-filled with your standard looking beef mince filling. I found the pastry to be a little floppy and chewy, and the pie to be a little small and not particularly filling. Overall, the pie was reasonably pleasant, but I didn't find anything particularly noteworthy about it. However I'm pleased that Robins has made their pies available through the ready meal route. More pies mean happier Pierateers!